Update October 2017: A lot of links that were on this page were broken when the Office of the Chief Government Statistician (OCGS) changed their website. It’s not the most user-friendly of sites but I’ve trawled through it and tried to replace the links where possible and add a few new ones. There are also some links to the (excellent) openAFRICA website, which had collected the documents through this page before they were taken down from the OCGS site. 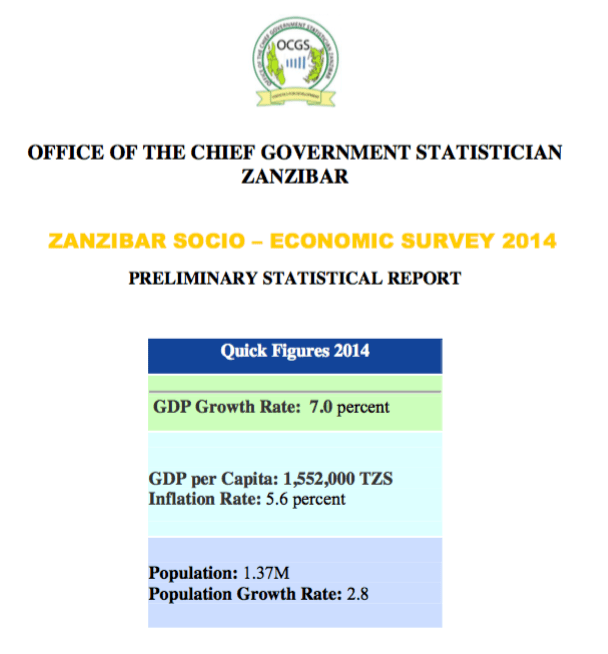 Given journalistic interest in Zanzibar, and my work within the Revolutionary Government of Zanzibar’s Planning Commission from 2013 to 2015, I want to share some key data sources. I’ve been careful to only include documents that are already online. 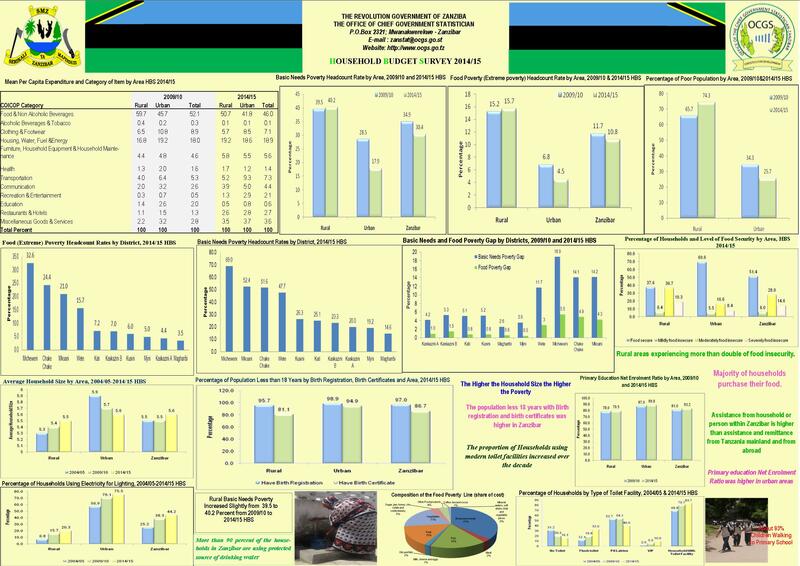 The documents can be confusing, incomplete and/or out of date, but to my knowledge, these are the best publicly available sources of data on Zanzibar and it took me two years to find all of these. Please ask me on Twitter (@jamiepett) if you have questions about this data or if you think anything is missing. MKUZA II ( Medium term Economic Growth and Poverty Reduction Strategy 2011-2015) NB: A successor strategy known as MKUZA III is now in place but is not online. Thanks Jamie for putting this together!! Hi Jamie, found you blog whilst searching the web for the Zanzibar 2004/2005 HBS. Do you have this by any chance? Hi Marzia – I’ve found it deep down in my files. I’ll ping it over by email. Sorry Jamie, would you, please, help me the web for the Zanzibar 2004/2005 HBS. I’m afraid I can’t find it online. If this is something you’re still looking for I can send it by email. Hi! I can’t find the ILFS 2014 anywhere, and the link you posted doesn’t seem to work. Do you happen to have the document or a different link to it? Thanks!